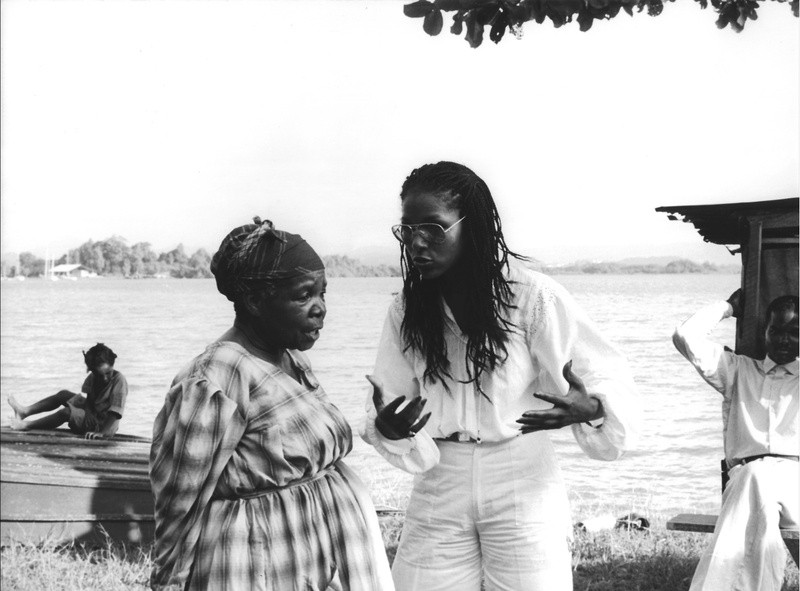 Martiniquan filmmaker Euzhan Palcy, directing the female lead actress Darling Ligitimus, on the set of her award-winning 1983 film Rue Cases Negres. Martiniquan director Euzhan Palcy is widely known for her seminal film, which was also her debut feature film, Rue Cases Negres (Sugar Cane Alley) (1983). The film won numerous awards internationally including the Silver Lion at Venice Film Festival, and the prestigious French César Award for best first feature film (making Palcy the first black artist to win this award). Her second movie, A Dry White Season (1989) for US studio major MGM, was set in apartheid South Africa, and brought Marlon Brando out of retirement for a cameo role in this film which continued the Palcy signature of dramatic stories of historical social change in her work. Palcy has made films on 4 continents, including the documentary trilogy on her mentor, Aimee Cesaire: Poet, Writer and philosopher, co- founder of the Negritude Movement. In 2013, President François Hollande of France named Euzhan Palcy member of National Committee for the Memory and History of Slavery.